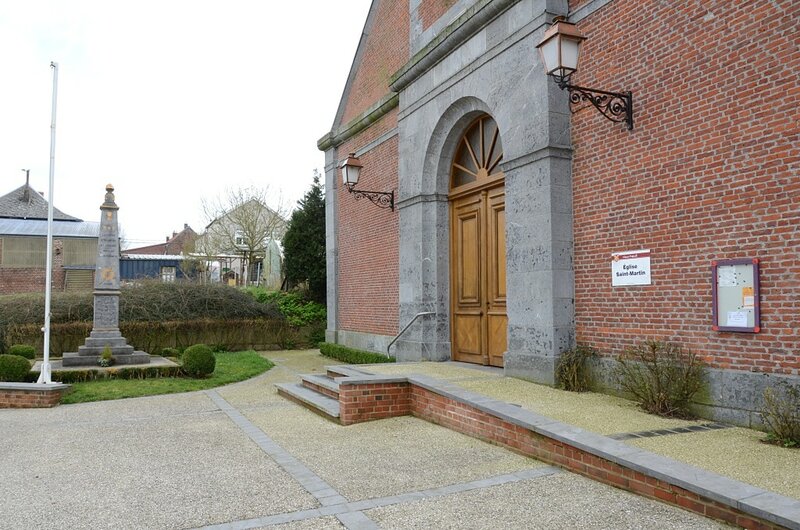 Vieux-Mesnil Churchyard contains six Commonwealth burials of the First World War, three of which are unidentified. All the graves are located in the South-West part of the Churchyard. 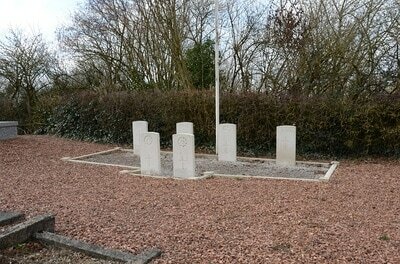 69715 Private William John Aplin, "A" Company, 1st/5th Bn. Devonshire Regiment, died 7th November 1918, aged 19. 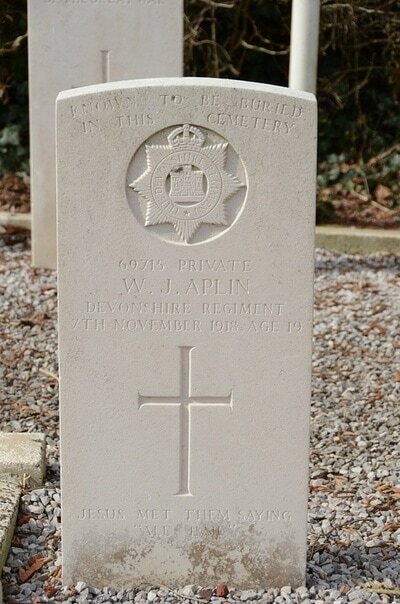 Only son of Samuel and Ellen Aplin, of Cotleigh, Honiton, Devon. 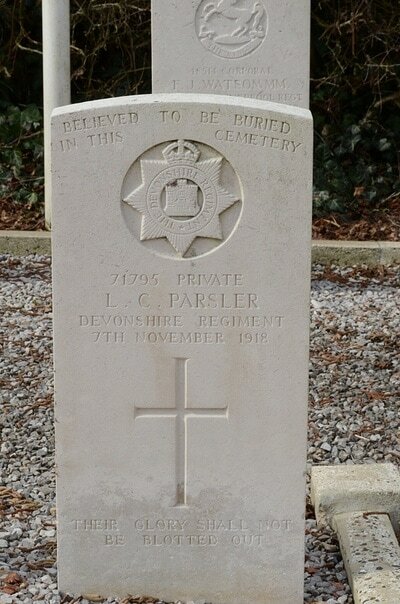 71795 Private L. C. Parsler, 1st/5th Bn. 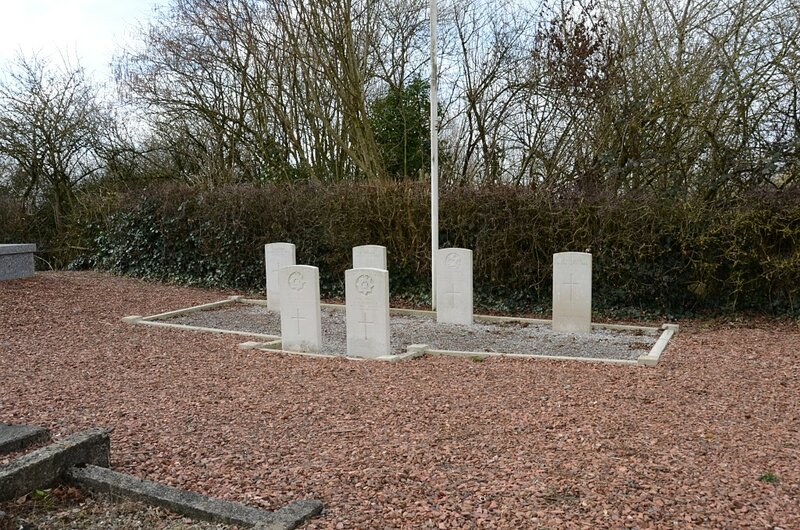 Devonshire Regiment, died 7th November 1918​. 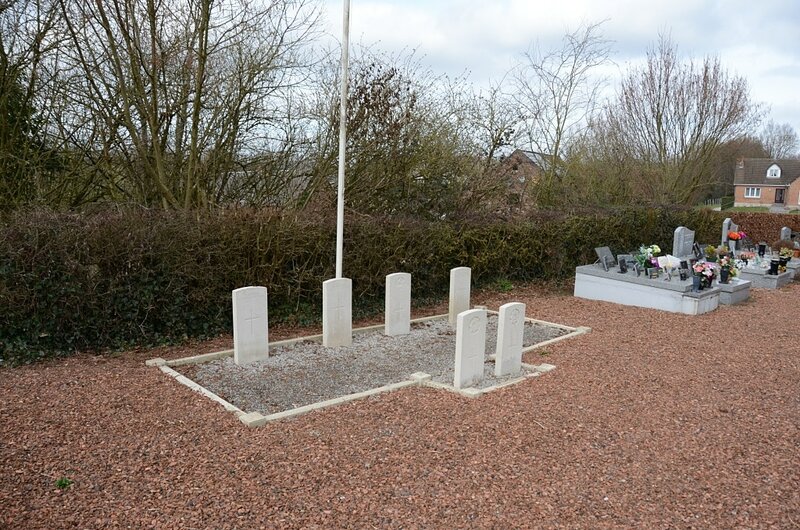 48514 Corporal Frederick James Watson, M. M. 4th Bn. 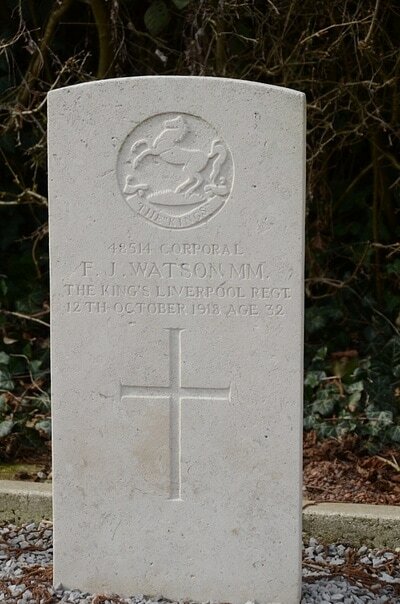 The King's (Liverpool Regiment), died 12th October 1918, aged 32. Son of William and Margaret Watson, of Bootle, Liverpool; husband of Mary Elizabeth Watson, of 16, Royden St., Dingle, Liverpool.